As both the head practitioner as well as the owner of the practice, Dr. Charles R. Kimes, your Overland Park Dentist, has been the man at the helm of Overland Park Dentistry since its inception, and continues to steer us towards excellence to this day! From its humble beginnings in 1984, to bringing you the latest in modern day dental technology, Overland Park Dentistry has dedicated itself to providing the residents of the Overland Park area with quality dental care, and putting smiles on patients’ faces. Here at Overland Park Dentistry we take pride in going the extra mile to ensure our patients receive the best care we can provide, while having the most pleasant and of course pain-free experience possible! On August 15th, 1956, Charles Robert Kimes was born to Karl and Shirley Kimes, two longtime residents of the Kansas City, Mo area. Known as “Chuck” to his friends, from an early age Dr. Kimes learned the value of hard work, as his father Karl ingrained the benefits of “earning one’s keep” and never being afraid to “roll up your sleeves”. This illustrated that hard work is always the key to achieving success. This belief certainly had quite an impact on the young Chuck Kimes, who soon began discovering his knack for repair work; a natural talent that would go on to shape his future in many ways! From plumbing to roofing, to building go carts, and rebuilding entire car engines! The young Chuck Kimes quickly began building a reputation as the “go to guy” among both friends and family whenever something needed to be built or fixed. With his useful skills and natural ability, obviously there was ample opportunity for Chuck Kimes to pursue multiple avenues of employment in both building and maintenance. However, due to economic turbulence at the time, a career in either field seemed problematic to the driven young man. Therefore, heeding the advice of his father, Chuck Kimes enrolled at Johnson County Community College upon graduating from high school in 1974. While the often-monotonous world of academia was certainly not tailor made for the restless Chuck Kimes, upon transferring to the University of Missouri at Kansas City, he found himself drawn towards the allure of professional dentistry. He quickly realized that his hands-on skill set translated very well within the realm of dentistry. Chuck Kimes began pursuing a career in the field, with the dream of one day owning and operating his own dental practice. After receiving his B.S. in 1979, and through countless hours spent learning and honing his craft, Chuck Kimes was accepted into dental school at UMKC. It was here that he would go on to receive the “Jim Carter Award” for his distinguished service as a member of the Psi Omega National Dental fraternity in 1982, and a special achievement award from the UMKC Dental Alumni Association, commemorating his remarkable contribution to the dental education program. After receiving his D.D.S. (Doctor of Dental Surgery Degree) in 1984, from The UMKC School of Dentistry, Dr. Kimes almost immediately sought to strive for his dream of opening his own private practice; a dream that would be realized later that year with the opening of his practice in Downtown Overland Park. Christening his new practice as the appropriately titled; “Overland Park Dentistry”, Dr. Kimes quickly went to work, providing his patients of all ages with the most thorough and highest quality dental care possible. With his professionalism and underlining care and courteousness, Dr. Kimes eventually amassed a significant number of loyal patients from all over the Kansas and Missouri area. Therefore, to further accommodate his growing number of patients, Dr. Kimes opened a satellite office in Sedalia, MO in 1985, and an additional south Overland Park location in 2004. Today Dr. Charles R. Kimes continues to actively practice dentistry as your Overland Park Dentist, alternating weekly between all three practices, to guarantee that his patients continue to receive nothing short of the most comprehensive dental care possible! Dr. Kimes’ love and interest in the technical aspect of dentistry has continued to push him to keep his offices updated with the latest education and technology. 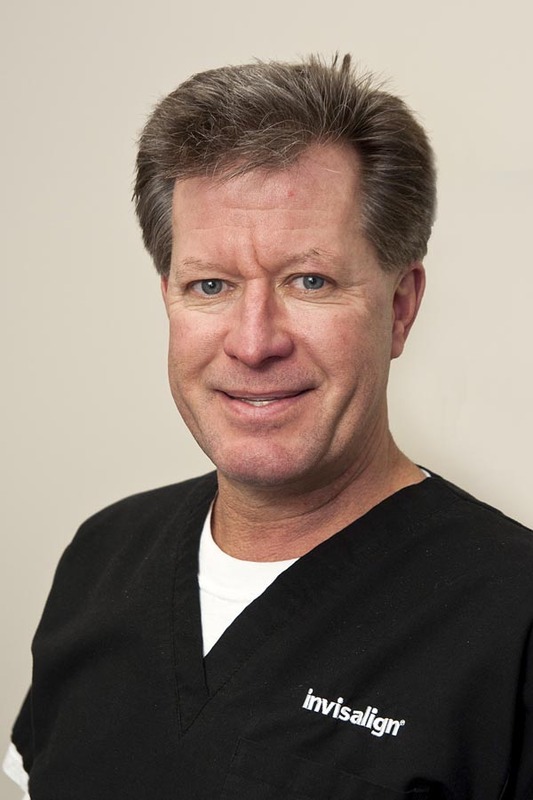 He remains a distinguished member of the American Dental Association, the Kansas Dental Association, the Fifth District Dental Society, the Greater Kansas City Dental Society, and the American Academy of Cosmetic Dentistry. Your Overland Park Dentist: Come See Us! At Overland Park Dentistry, we are truly dedicated to making your smile beautiful! So whether visiting our Overland Park or Sedalia locations, you can rest assured that at Overland Park Dentistry, making you smile is not just our business, but our pleasure as well!